Mix it up, make it match the mood! 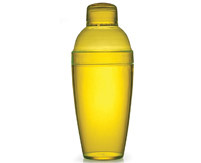 Light up the night with these disposable plastic cocktail shaker from our fun Quenchers line of plastic barware. 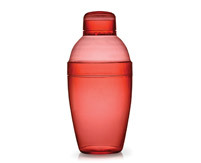 This brightly colored shaker is made from hard plastic that's durable enough to last the whole party through, but lightweight and completely disposable for fast service and simple, no-hassle cleanup. 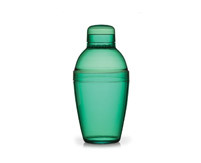 Perfect for themed nights, special promotions, or open bars at catered events, this shaker is sure to make it a night to remember at your bar or nightclub.